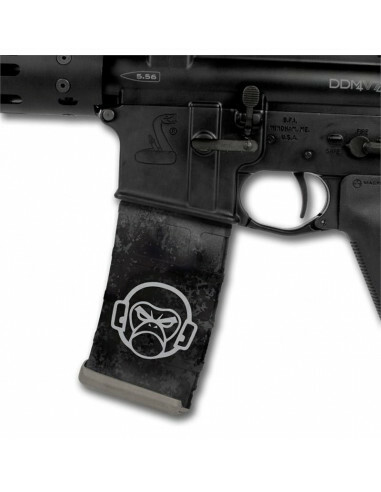 Mag Wraps featuring Mil Spec Monkey designs come in 3-Packs and will fit any 30rd AR-15 Magazine. They are easy to install and offer the ultimate in protection and camouflage for your magazines. 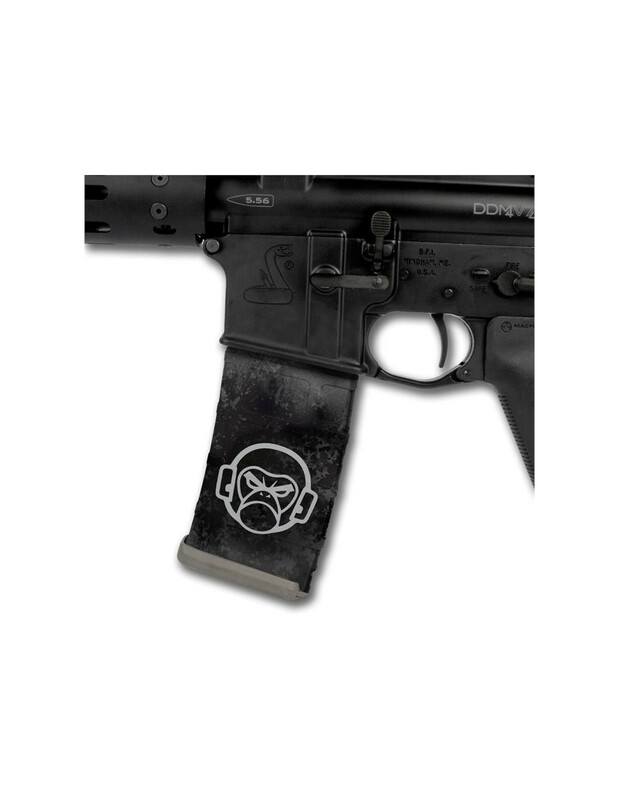 The wraps stop right at the mag well so there is no interference with the operation of your magazine while in the weapon. 1 package will retrofit 3 Magazines. Every Pack comes with a Free Mag Well Slap until further notice, we pick it so it's a secret, get it. Our premium US Made wraps offer superior UV protection, chemical resistance, protection from scuffs and scrapes and are completely waterproof. All Mag Wraps are finished in a non-reflective matte outer coating. They will work with any substrate and leave zero residues when removed. They can be placed over each other if need be for an immediate mission profile change. Our exclusive two-piece wrap design leaves no seams on the crucial sides of the magazine for superior camouflage.